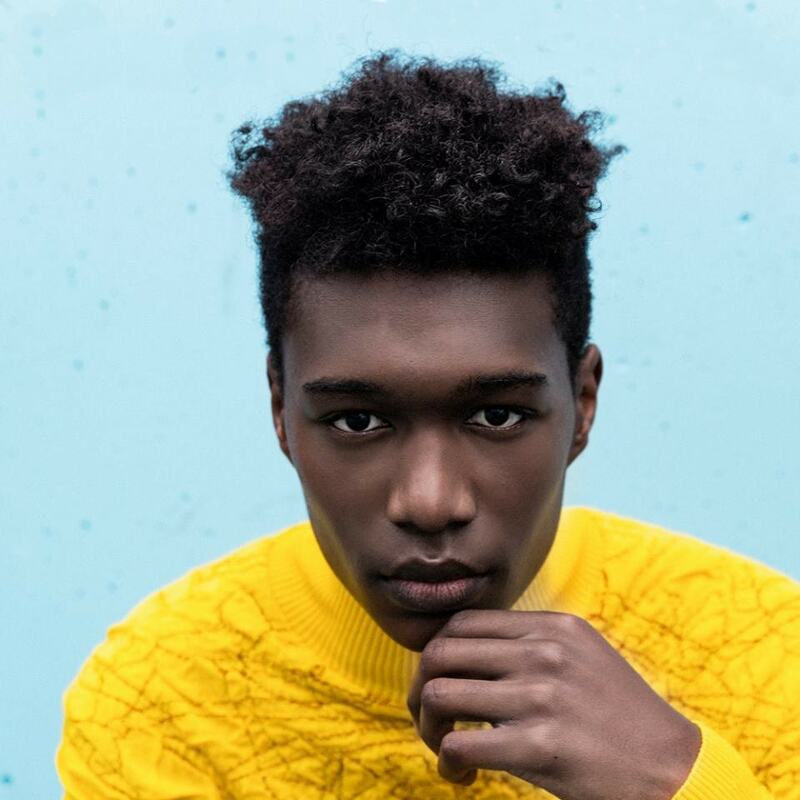 Belgian 21-year-old pop/rnb artist AMERY has caught my eye (And ear) after I listen to his debut single So Good. Now he returns with another single, I Need Lovin', and I just had to get to know him a bit better. And I was lucky enough to be able to ask him a couple of questions and I found out he is really into Rihanna and Michael Jackson. Below you can read more about his musical influences, his favourite albums, and much more! CLNL: You recently released your brand new single, I Need Lovin’. How was the recording and writing process for this project? Moreover, what was the inspiration for it? A: We were looking for the perfect song to follow So Good, something that would follow a similar storyline. But it had to be better than my debut single! My producer James Lowland started playing the guitar and an idea for the instrumental came to my mind. We then had to find a melody for it, which was not an easy task! After an hour, we took a break and all of a sudden, James came up with the lyrics “There is this girl I met the other day” and I immediately continued with “She had that something I couldn’t turn away”. Afterwards, everything just flew naturally, within the next few weeks. CLNL: I sense some Michael Jackson and Justin Timberlake influences in this song. Are these artists part of your musical inspirations? A: I’ve been a fan of Michael Jackson since I was a kid! I grew up listening to his music. I started following Justin Timberlake’s career in 2005 and it’s definitely someone I looked up to as well. I feel like we’re following a similar lane in terms of music genre, which is not so surprising as Michael Jackson is also one of his idols. I’ve also seen some videos of him working in the studio and he’s a real genius! CLNL: Do you have any plans to release a music video for this song? CLNL: From So Good to I Need Lovin’ we can see a lot of positivity in your music. How would you describe your sound? What do you hope people take away from your songs? A: I want people to feel happy. When I’m creating my songs, I’m inspired by those 80’s tunes that were made to make people forget about their problems and I love the positive energy surrounding that kind of music. That’s exactly what I want people to feel when they listen to my songs! If I had to describe my sound, I would actually say “joyful”. CLNL: Can we expect a full-length album anytime soon? CLNL: Was music part of your life while growing up? What drew you to pursue a music career? A: Music has always been a part of my life but I didn’t grow up in a musical family. I watched a lot of music videos (including Michael Jackson’s of course! ), listened to the radio all day long and I used to go to church with my grandma, where I would always go on the “stage” afterwards to try to play with their piano, on the drums… I’ve always had that love for music! As a kid I didn’t really take it seriously until I got to perform for the first time in front of people in high school who said they liked my voice. That’s when I started contemplating a music career. CLNL: How much of your Rwandan background influenced your music? A: I have a huge respect for the Rwandan culture but I wouldn’t say it has influenced my music at all. I’m born in Rwanda but I left the country for Belgium when I was 5 so I didn’t really get a chance to learn and understand the culture which is why I can’t reflect this part of me in my songs at the moment. But I’m truly hoping to go back there very soon to find out more about my roots and country, and maybe then you’ll be able to hear those Rwandan influences in my music! CLNL: Since you are from Belgium, can we expect some music in French/Dutch? A: I feel more connected to English, that I can explain and express myself more than in any other language which is why I write in English and think I will always do. I do enjoy singing along to French songs sometimes, like Stromae’s music. CLNL: What job do you think you would be doing now if you didn't have your music career? A: I’d probably be a fashion designer. All in all, I love being creative so anything related to art has always interested me. So fashion designer seems like a pretty fascinating job to me! CLNL: Who would be your dream collaboration? A: I would love to collaborate with Rihanna ‘cause she’s not afraid to do a little bit of everything; she’s very versatile and super iconic. I’m sure we could do some funky songs together! I would also like to work with Diplo because I love his sound and there are some electronic songs that I really like – I’m actually a big fan of house music by the way. CLNL: What was the first album you ever bought? A: The first album I’ve ever got was a Michael Jackson’s Greatest Hits album. It was actually a birthday gift from my mum and I was super, super excited! This album encouraged me to go after a music career. CLNL: If you were given the chance to pick one artist/band to tour with which one would it be and why? A: Rihanna! First of all because she’s one of the best artists of this decade and it would be an honor to share the same stage. I would be so happy to finally be able to tell her how much I love her (laughs) and being part of her Navy I think I could get a really cool connection with her fans. CLNL: Are you planning to hit the road this summer? A: Not this summer but I’m currently preparing myself for gigs so this will eventually happen. CLNL: What music are you currently listening to? A: Right now, I’m listening to a lot of rnb and alternative pop. I really love SZA and G-Eazy. CLNL: If you could only listen to one album for the rest of your life which one would it be and why? A: It would be Thriller by Michael Jackson or ANTI by Rihanna. Thriller is just timeless and ANTI never gets old! I’ve been listening to it since January 2016 and I never get bored of it, it always feels like the very first time! And I think it’s really important to have an album that’s perfect from A to Z, a consistent piece of work. CLNL: What is your favourite song this year so far? A: So far, it’s Wild Thoughts by DJ Khaled, Rihanna and Bryson Tiller. I was waiting for a summer anthem… I wanted something different and I love what DJ Khaled did, mixing the 00’s with the 90’s as the Santana’s sample is from 1999. He added a really fresh touch to it, which made the song very original and cool!